Are you on the road to a healthier life style, and need some cool gear to help motivate you or to take when you on the go?? Then Cool Gear International is the place to look. I received two products from this company to review and I am giving my honest views when I say I was very much satisfied with the quality of the products. 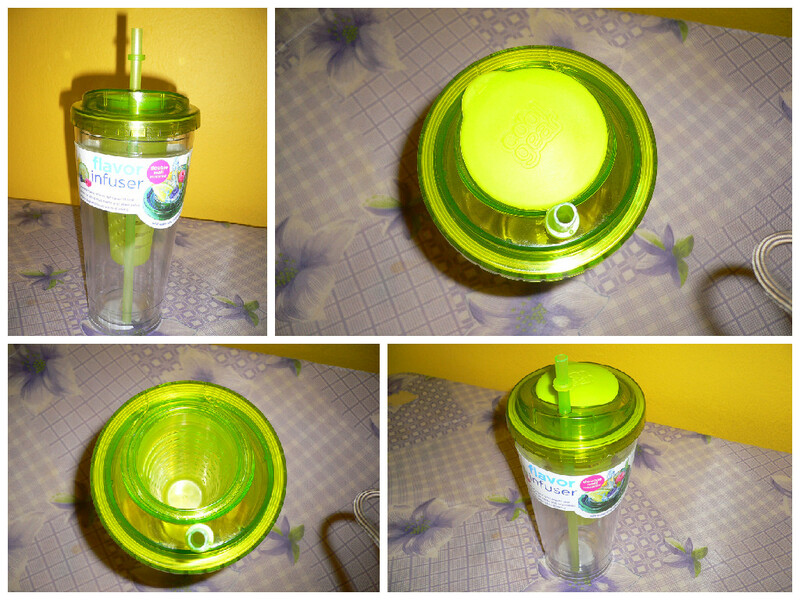 I received the 23oz Infuser Chiller and the Snack n dip. Having the infuser chiller actually motivated me to make my flavored water which I have been putting off for a while, because I really wanted to use the cup. It’s been three weeks now since I have received the products, and I have made my flavored water for two weeks straight using the cup. The infuser chiller is used to infuse water. 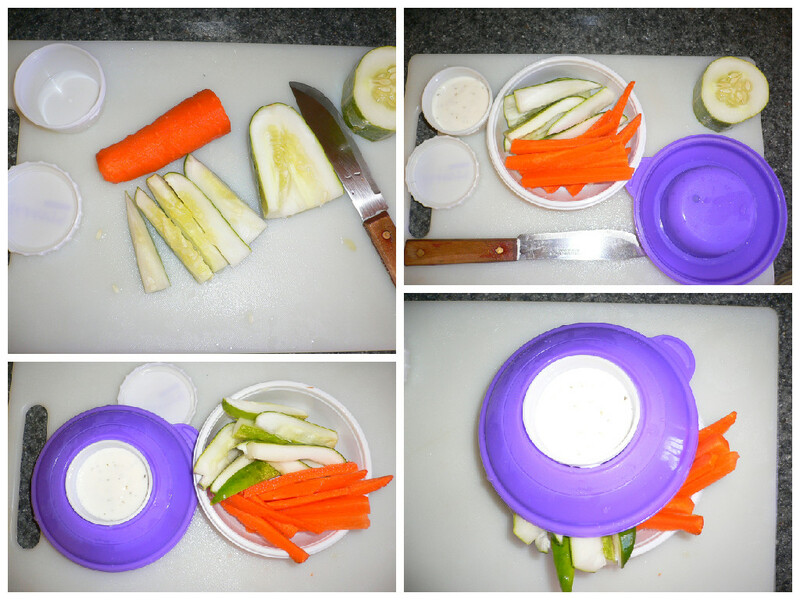 One can add fruits, herbs, spices and vegetables in the removable compartment in the cup and then fill with water. Leave it to draw for couple of hours and then enjoy your flavored water. Flavored water has many benefits according to what fruits, herbs, spices and vegetables one use, however flavored water on many occasions is used to help the body detox. 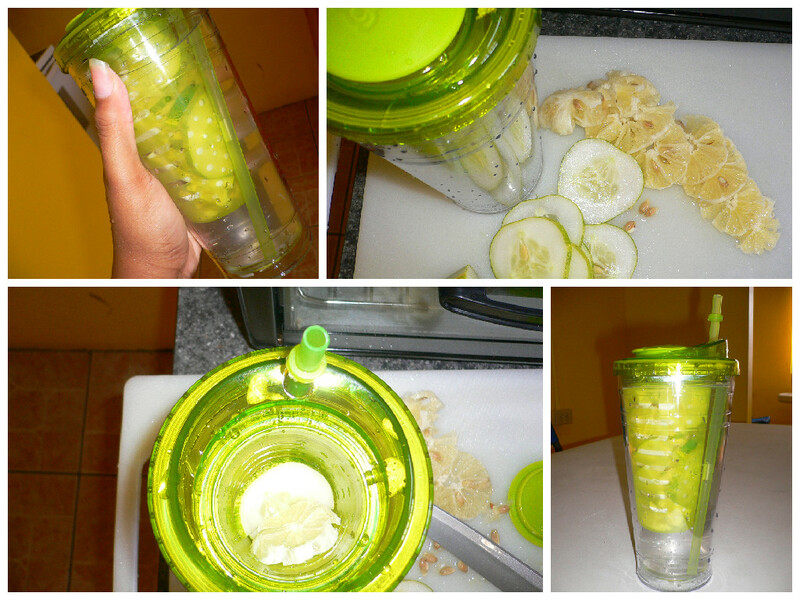 There are many various recipes to use for flavored water and I would share one that I used below. This chiller included 4 pieces overall, I especially like that there is a pop up cover which is over the compartment to place the fruits/vegetables, therefore you do not have to uncover the cup, then unscrew that compartment to place them in. 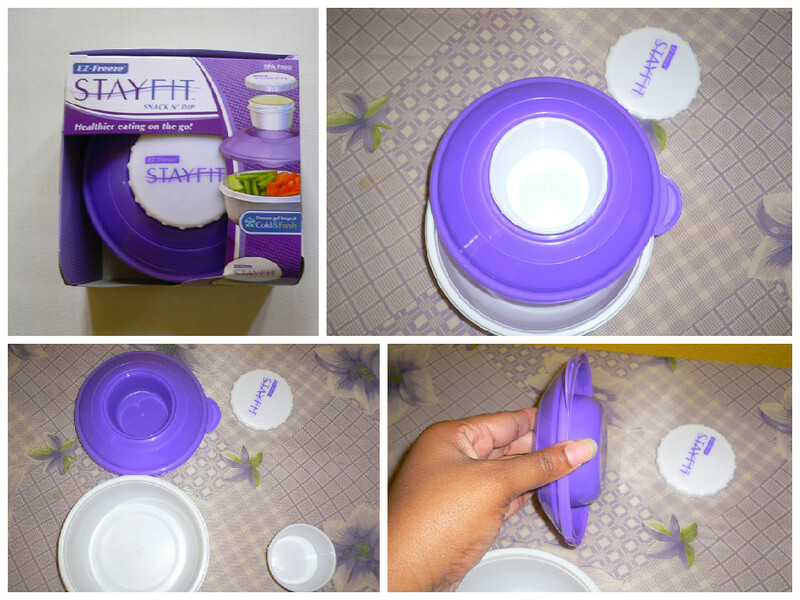 I found that the cup was very convenient and easy to use, I loved it. 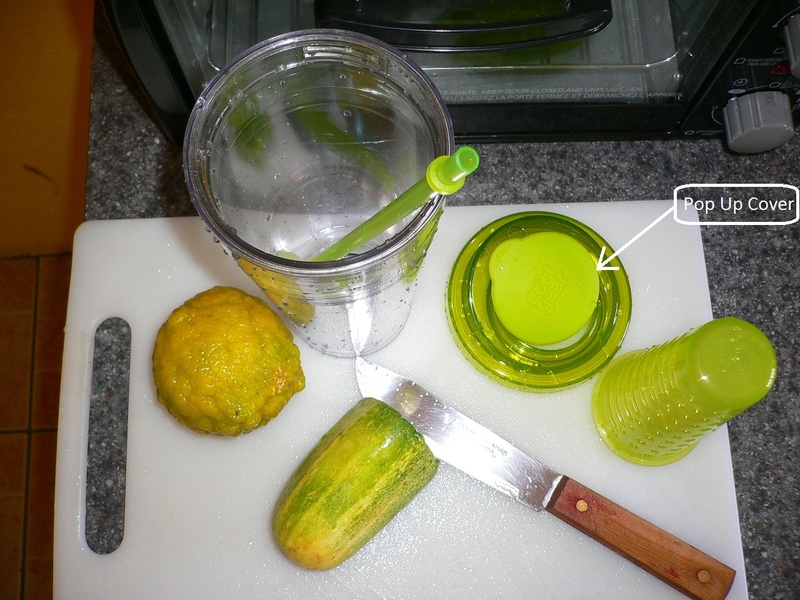 Slice the lemon and cucumber, you can further cut the slices in two if you desire, place the slices alternating between the lemon and cucumber in the compartment in the cup. Fill with water, let draw for a couple of hours and then enjoy. I recommend leaving it for 3 hours or more before drinking, you can also leave it overnight and have it the other day. I used the snack n dip when I was venturing out, I used it mostly for my fresh salads, and it did remain chill for the period until I was ready to eat. 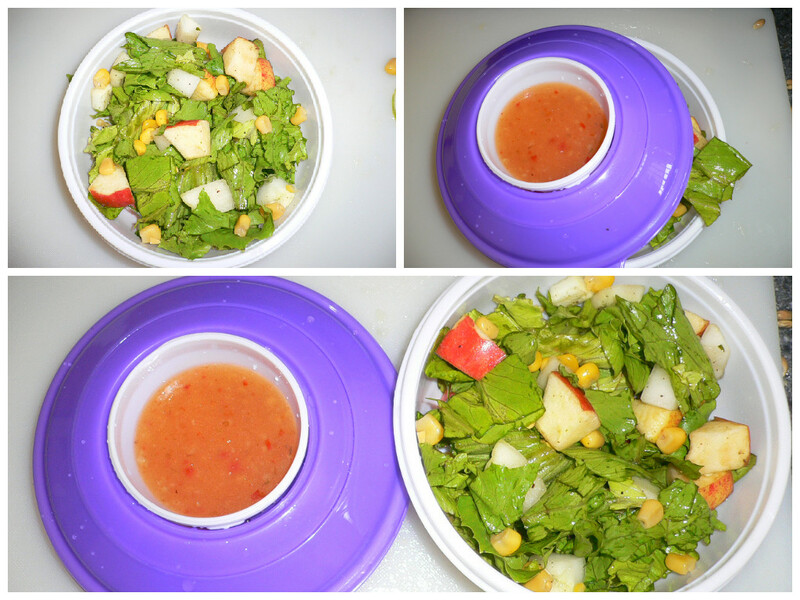 The snack n dip can be used for vegetables or fruits to take on the go as there is a freezer gel inserted into the cover of the bowl which helps to keep the content in the bowl chill. There is also a compartment where you can place dressing for your vegetables or fruits. In all there are 4 pieces to this container. On one occasion I left the cover with the inserted freezer gel in the freezer for two days then I placed my vegetables and dressing in it , and was out for the entire day running errands, in the evening when I was ready to eat, the vegetables and dressing were both still chill. The freezer gel does not have to be frozen in my opinion as even when placed in the refrigerator it also keeps the content in the container cool for a period of time as well, however you may receive more desirable outcomes when it has been frozen. I would definitely recommend these products as the quality was great and it did do what it claimed to do. The company customer service was great as well. Below are the links of the two products I received and a link to the main site, feel free to check out the site as they also sell other great products.